Manchester United have had their share of African players down the years, but none truly of the elite level despite other Premier League teams having better fortune signing talent from the continent. The jury is still out on Ivory Coast international Eric Bailly, who has shown glimpses of brilliance since signing from Villarreal in 2016 but nowhere near enough. Injuries haven’t helped the situation but it’s a constant concern when Phil Jones starts ahead of him. 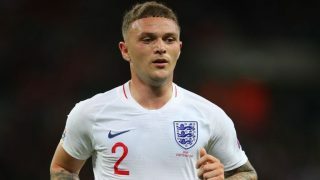 And, it’s no secret that United need offensive reinforcements this summer; someone who can attack from the right wing with pace and an eye for goal. Preferably a player who can receive the ball and turn towards goal with a burst of lightning speed, technical precision and athletic strength. That is what is needed to make us less predictable because everyone can see how most of our attacks come down the left, through the excellent Anthony Martial. The Reds are without a specialist winger on the right and settle for players like Jesse Lingard, Juan Mata and Romelu Lukaku. That brings us onto Nicholas Pepe, an Ivorian who this season has become one of the hottest prospects in Ligue 1. He is second in the French league top scorer charts with 16 goals and eight assists, with only Kylian Mbappe scoring more (18) in the league. The 23-year-old’s tally may replicate what you’d expect from a striker, but he’s not one of those. Pepe plays on the right wing for Lille and he’s already attracting interest from Europe’s biggest clubs. According to talkSPORT, Pepe is being monitored by Manchester United, Arsenal and Bayern Munich, while Bleacher Report claim he will cost north of £60 million. 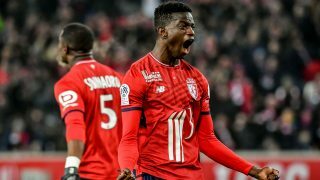 If he continues to score goals and add to his assist tally, Lille will find themselves in a strong position before inevitable negotiations take place. 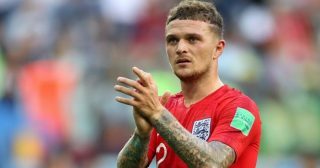 French newspaper La Voix du Nord quoted the Lille star after he was asked about his future, as cited by Sky Sports, and he made it clear that he’s open to offers. With Pepe, the next manager will have incredible options in attack. Defenders will be trying to cope with Martial coming from the left, Marcus Rashford doing the business as a centre-forward, topped off with the skilful Ivorian on the right. 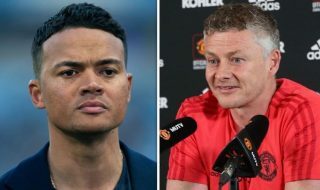 It’s too early to evaluate how serious United are about signing Pepe, but links initially began to surface at the beginning of the season. Time will tell if our scouts think they’ve spotted an African gem to rival the likes of Mohamed Salah, Sadio Mane and Pierre-Emerick Aubameyang.